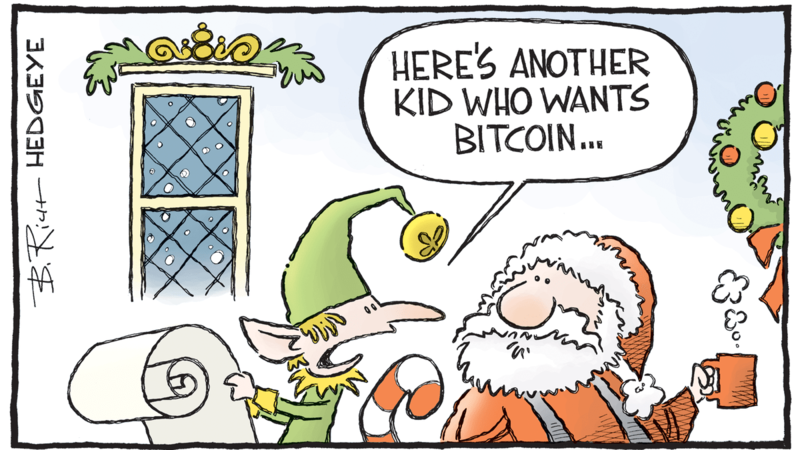 Cartoon of the Day: Cha-Ching! Bitcoin is up +2,300% in the past year. Boom or bust ahead? We hosted a webcast on this today with currency guru Josh Crumb of Goldmoney. Click here for access. Like this cartoon? Click here to get it emailed to you every weekday ... free.